Beat milk and pudding mixes with whisk 2 min. Microwave 2 oz. chocolate as directed on package. 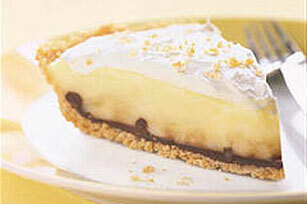 Stir in 1 cup pudding; pour into crust. Add half the whipped topping and all but 3 Tbsp. candy to remaining pudding. 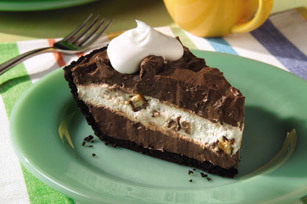 Spoon over layer in crust. Top with remaining whipped topping and candy. 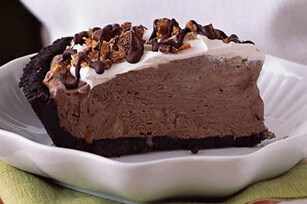 Melt remaining chocolate; drizzle over pie. Refrigerate 1 hour. 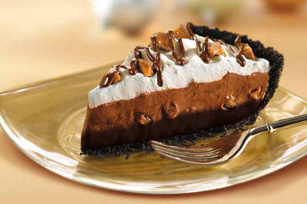 Size-WiseSince this indulgent pie makes 8 servings, it is the perfect dessert to serve at your next party. Vanilla Pudding with TobleronePrepare as directed, using vanilla instant pudding mix and substituting 1 TOBLERONE Milk Chocolate candy bar (3.52 oz.) for the English toffee candy bars. 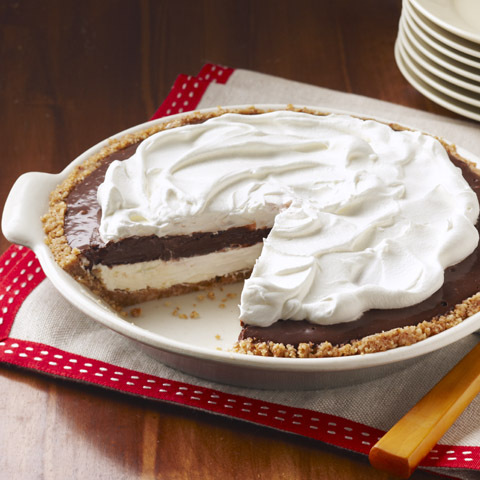 How to Easily Drizzle ChocolateUse fork to drizzle melted chocolate over pie.